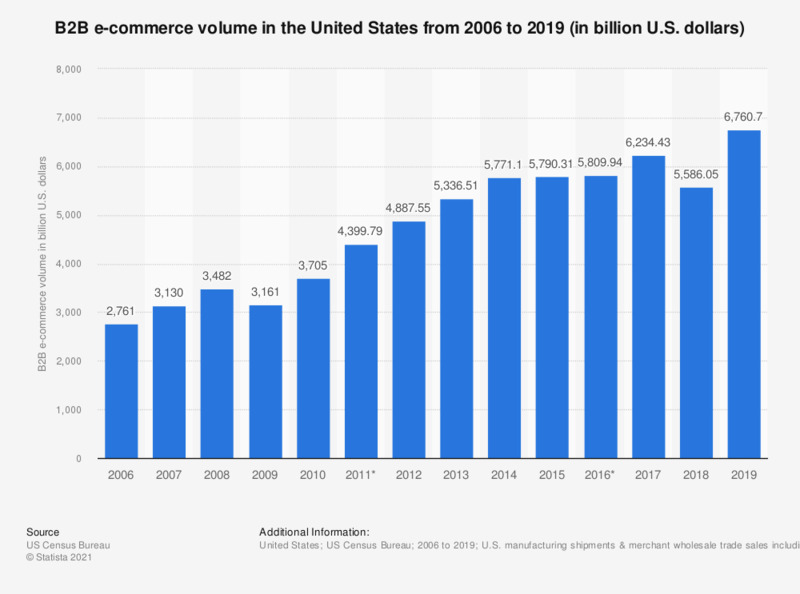 This statistic gives information on the B2B e-commerce volume in the United States from 2006 to 2016, in billion U.S. dollars. In the most recent reported period, manufacturing and merchant wholesale revenue in the U.S. amounted to 5.79 trillion U.S. dollars in B2B e-commerce sales. Values regarding 2011 to 2016 were calculated from total U.S. manufacturing shipments and merchant wholesale trade sales including MSBOs. Values regarding the preceding years were taken from previous U.S. Census Bureau E-Stats reports.